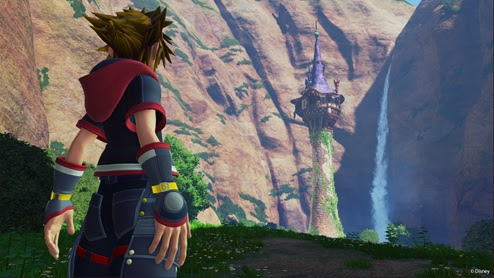 Revealing the growing world of KINGDOM HEARTS, SQUARE ENIX® and Disney Interactive today showcased a new gameplay trailer featuring never before seen footage from KINGDOM HEARTS III. The world based on the film Tangled is one of many big reveals the team has in store and is the first announcement in a larger, deep creative collaboration between SQUARE ENIX® and The Walt Disney Animation Studios. Announced on the same day, KINGDOM HEARTS UNCHAINED χ (for iOS and Android devices) will showcase story elements from the earliest parts of the series’ history, with ties that will go into KINGDOM HEARTS III as well.